Check out this DUO80 7-in-1 Programmable Pressure Cooker 8-Qt. $79.99 (Retail $174.99). 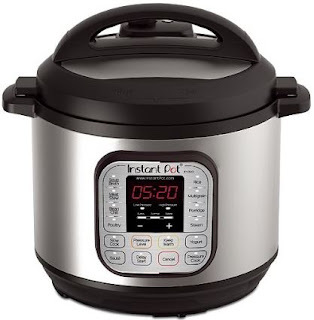 Get seven appliances in one and more than a dozen smart programs with the Instant Pot electric pressure cooker. Its eight-quart capacity provides ample room for stews, soups, roasts and more for the family. Dimensions: 14.8" x 13.2" x 14"